In terms of importance, your Vestavia Hills home's electrical system is right up there with the most important elements of your house. You and your family depend on your home's electrical system for just about every activity you perform in the house on any given day, and anytime it isn't functioning like it should, it can throw a serious wrench into your daily routine. Here at Advanced Electrical Company, LLC, our team of Vestavia Hills electricians can provide you with the in-depth and quality service you need to get your system functioning again like it should be in no time at all. We offer a full line of high quality electrical services for homes and business alike to ensure your electrical system has everything it needs to continue functioning at its most effective and efficient at all times. When it comes to your electrical system, you should never have to settle for service that is anything less than the best, and when you make the call to us, you never will. Here at Advanced Electric Company, LLC, each and every one of our professional Vestavia Hills electricians are fully licensed, trained, and experienced in the field, and we know what it takes to get the job done, and get it done right the first time. Electrical work can be dangerous if it isn't done properly, which is why we recommend that you never attempt a DIY fix, no matter how simple the repair might be. The issue that you notice could very easily just be a smaller symptom of a much larger problem, and you could be needlessly putting you and your family at risk in attempting to do so yourself. If you have any questions about our full line of high quality electrical services, or if you would like to schedule an appointment for service with one of our Vestavia Hills specialists, give us a call today. Our team of experts are always standing by and would be more than happy to assist you in any way we can. One aspect of your electrical system that tends to be forgotten about until there is an issue is your electrical panel. 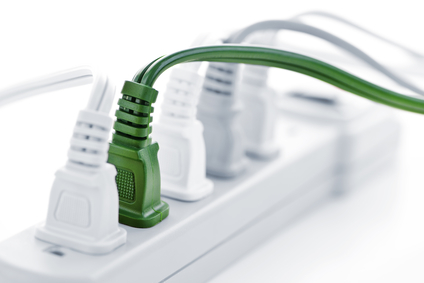 Your electrical panel is responsible for distributing power throughout every room of your house as it's needed, but if your panel is damaged or just wasn't designed with energy demands of your home in mind, it might not be able to provide the right power output where you need it. If your old electrical panel just isn't up to the task of powering your home anymore, give our team of Vestavia Hills electricians a call and let us provide you with an electrical panel upgrade. Upgrading your old electrical panel is a great way to improve the overall function and safety of your Vestavia Hills home as you will be able to more reliably get the right amount of power to where you need it in your home, helping to reduce the instances of constantly tripping breakers, dimming or flickering lights, and even overheating wires.